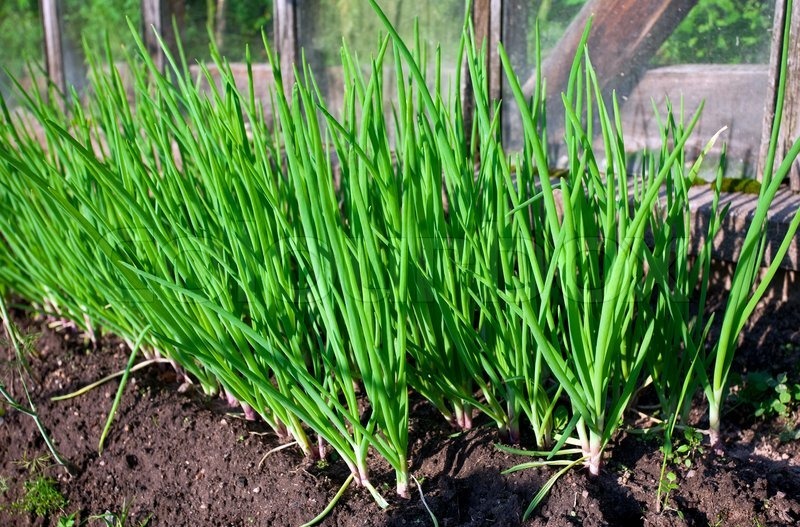 Green onions are a staple in most cuisines around the world, and with so many different culinary uses, why not learn how to grow green onions in your own garden? Today we’ll be showing you 3 ways to grow green onions right in your backyard, in a pot, or even in your windowsill indoors! These little greens are not only easy to grow, but they also require little maintenance, and they’ll be ready for harvest in no time! Whichever way you choose to grow green onions, there is NO wrong way! 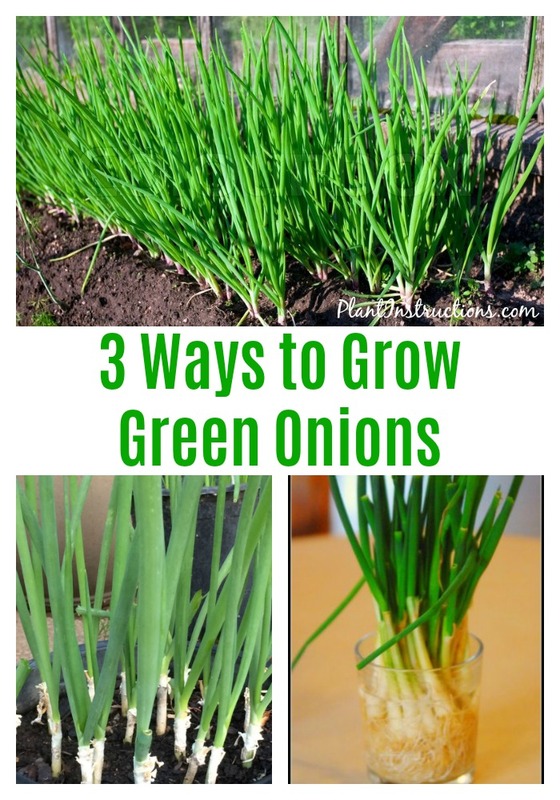 It all depends on the amount of space you have available and the climate you live in, so choose any one of these 3 ways and enjoy fresh green onions at any time! Choose a spot in your yard that has full sun and well draining soil. Till the dirt to a depth of about 12 inches and work in compost or another organic material to add nutrients to the soil. About 4 weeks before the last frost, plant the seeds directly into the ground about 1/2 inch deep. Space each row about 1 foot apart. If you live in a cold climate, you can start the seeds indoors and then transplant them outdoors once the weather warms. Once the seedlings have grown, thin them to 2-3 inches apart if necessary. Mulch around the seedlings to keep soil moist and prevent weeds from sprouting. Water well after planting and about 1 inch each week thereafter. Harvest once the shoots are about 7-8 inches long. This should take 3-4 weeks. To harvest, you can either pull the entire plant out, or snip at the base, leaving the white in the soil to grow more onions. Prepare a pot with rich potting soil. Be sure the pot has good drainage. Place the pot or container in an area with full sun and water regularly. If growing indoors, follow the same conditions and place the pot in a windowsill where the plant will receive at least 6 hours of sunlight per day. Harvest when the greens are 7-8 inches long. You can regrow green onions directly in a glass of water. 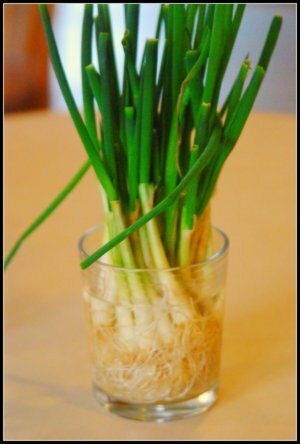 Simply purchase some green onions, snip off the white part (making sure to leave the white roots on), and submerge in a tall glass of water. The green onions should start growing within a few days, and, within a week or two, you’ll have an entirely new water regrown green onion! 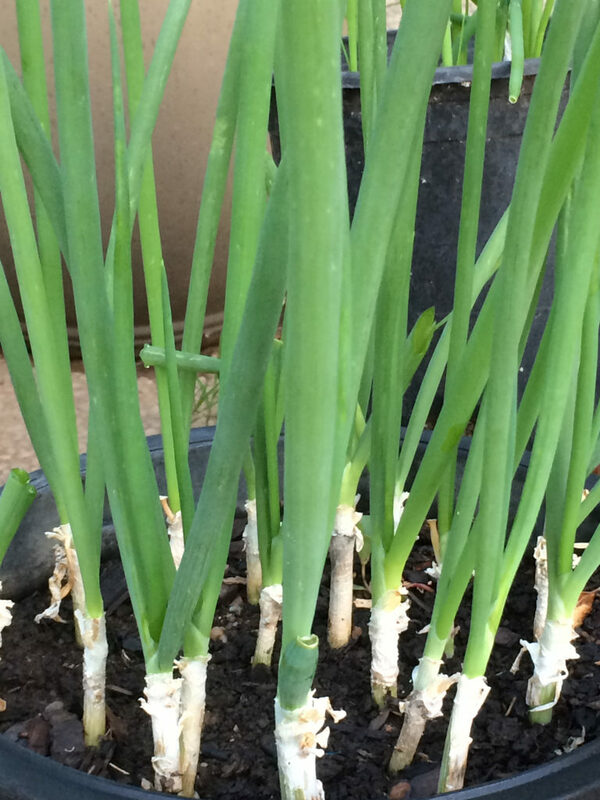 How to Grow Green Onions: 3 Ways to Grow Green Onions was last modified: June 27th, 2018 by Aniela M.